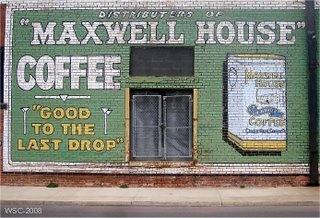 Description: Ghost signs are faded, painted signs, at least 50 years old, on an exterior building wall heralding a product, trademark or a clue to the building’s history. Also called fading ads, or ghost ads, these works of art have often been preserved by being hidden by a neighboring building. When the neighboring building is torn down, ghost signs are often found on the side of the remaining building. 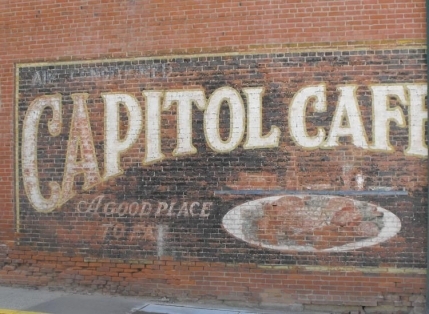 Some towns have tried to preserve their ghost signs, while others have merely not destroyed them. They provide a window into the past, not only for advertisers, but historic preservationists. I actually had the pleasure of living in a building with 2 ghost signs. 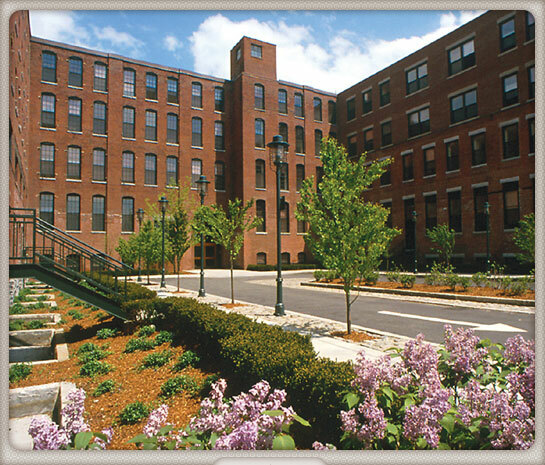 The Kennedy Biscuit Lofts in Cambridge, MA was once home to the famous Fig Newton cookie. 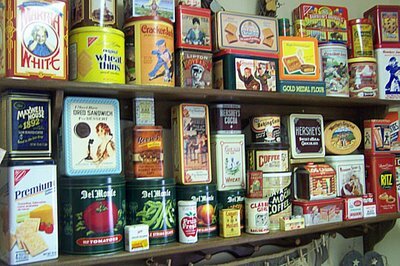 In fact, upon moving in, we were presented with a tin of Fig Newtons as a housewarming gift. 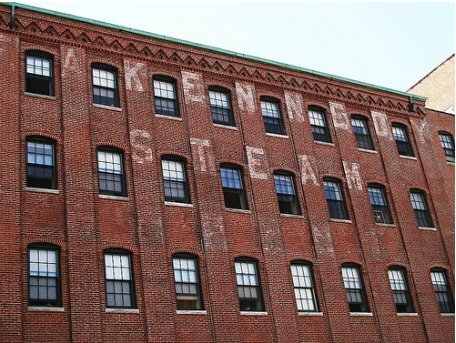 Most exciting of all, however, was the “Kennedy Biscuit Works” and “Kennedy Steam Bakery” ghost signs on the building. Fig Newtons were first produced in 1891 by the National Biscuit Company, now known as Nabisco. They have a long and interesting history. Nabisco states that these cookies were named after the town of Newton, MA. Neither the taste, shape, or size of Fig Newtons has changed in over 100 years.